Welcome to the Atlantic County Library System - the information center in Atlantic County. The mission of the Atlantic County Library System is to offer informational and recreational materials which will educate, enlighten, and enrich the lives of area residents. 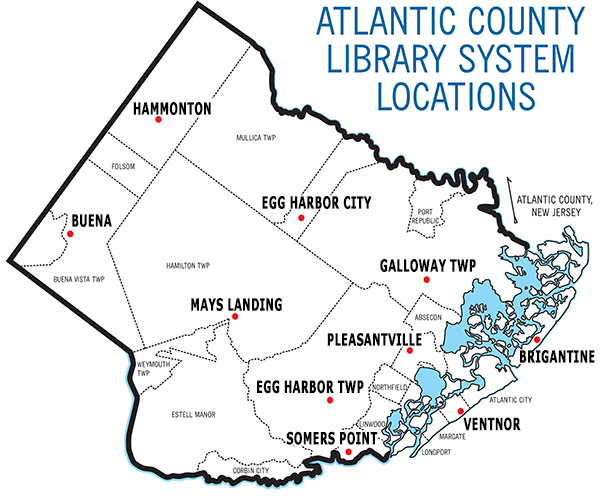 The library system includes nine branches located throughout Atlantic County. In addition, the library offers a Books By Mail service and participates in the Interlibrary Loan program. In 2018, the population of Atlantic County was approximately 269,918 with an estimated 185,082 residents living in municipalities that make up the Atlantic County Library System. FAQs - Have a question? Find an answer. 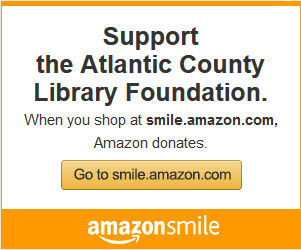 The Atlantic County Library System is a division of Atlantic County government. All open job postings for both the Library and the County can be found, and applied for, online on the Atlantic County Division of Human Resources page.